Such is the reliance of successive governments on alcohol as a cash cow that you would expect them to collect every penny of the high taxes they impose. But they don’t. 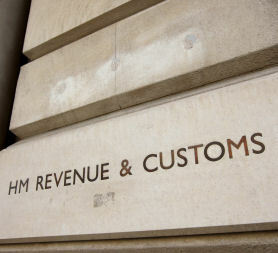 HM Revenue & Customs (HMRC) is failing to collect more than £1 billion a year in drinks duties, according to the National Audit Office. The financial watchdog reported this week that in 2009-10 some £1.2bn in taxes on alcohol was lost to the Exchequer through fraud and evasion. That represents a 40% increase on the potential £850m lost in 2008-09 to drink fakers and duty dodgers. It doesn’t take a Mastermind contestant to spot the strong likelihood of a link between rocketing rates of duty and the soaring rate of evasion and fraud. The risk/reward ratio increases, especially as the prospect of being caught seems small. The biggest scam mainly involves beer brewed in the UK that is “exported” to registered warehouses in the EU on a “duty suspended” basis. It is then smuggled back into Britain and sold on to wholesalers and retailers. It is much more difficult to apply a similar fraud to spirits because of the “fiscal mark” system which shows whether UK duty has been paid on each bottle. Talks are to be held soon on extending that system to covering British beer in a bid to prevent a scam that some estimate is costing the Treasury £800m a year, more than double the amount “lost” in all wine and spirits scams. The auditor general, Amyas Morse, said that the report showed the while HMRC had improved its strategy for tackling alcohol fraud, it needed to do more, including “establishing reliable estimates of the tax gaps for beer and wine, and achieving tangible success in tackling the illicit diversion of duty-unpaid alcohol back into the UK”. The latest figures show that in the past year HMRC secured just six convictions for alcohol fraud although some 10m litres were seized. With the average sale price of a bottle of wine in the UK now £4.55, just over 56% of the cost is consumed in tax. And from 1 April it gets worse. Excise duties on alcohol will rise by almost 10% thanks to the “escalator” introduced in late 2008. This increases duty rates automatically by inflation plus two percentage points in every financial year until 2014. With inflation running at more than 4%, the increase on excise duties will be at least 6% plus VAT (the tax on a tax). That will push the government’s duty take on still wine to about £1.95 per 75cl and to just under £2.50 for sparklers. And, of course, the retail price will bear a further element of VAT on what the consumer is charged. The average cost will move inexorably toward the psychologically critical £5 barrier with the associated problems that creates between producers and retailers. In a time of austerity, it is unrealistic to expect the duty escalator to be rescinded. The probability is that it will be extended beyond 2014. What the trade should expect and press for is that every step be taken to stop fraud and collect the £1bn-plus being lost to the Exchequer every year. HMRC would do well to study the Laffer Curve (http://en.wikipedia.org/wiki/Laffer_curve) to understand why higher alcohol taxes do not translate into higher revenues. The UK already has one of the highest rates of taxation on alcohol in Europe and the duty escalator and the administrative burden imposed by such measures as ‘duty stamps’ only make fraud more attractive and profitable. Unless taxation rates can be equalized throughout the EU this problem will remain.